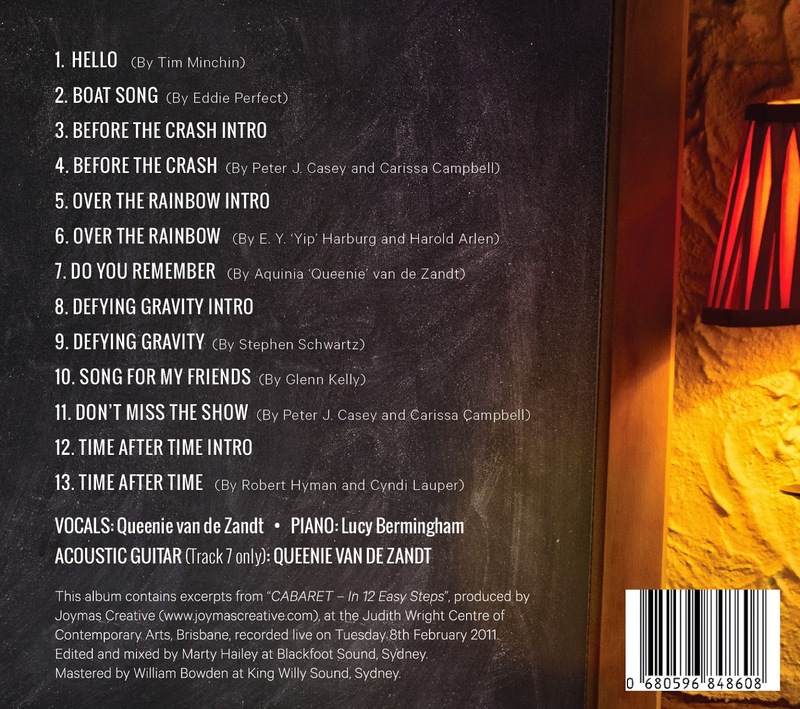 Queenie van de Zandt - Live in Cabaret is a recording of highlights from my cabaret show "CABARET - In 12 Easy Steps". "This is exceptional and it's LIVE! Funny, moving, and incredibly sung. If she was overseas she would be Idina or Barbra or one of those big divas...She is our country's best." "I just received my CD and it's nothing short of amazing! I hope you don't wait as long as last time to release another!" "Everyone, buy it! Even if only to hear the most amazing arrangement of 'Over the Rainbow' you've ever heard."